100+ Insights from Monitoring Social Media. Engagement metrics, brand personalities, listening and mush more in this interesting post. Great interview: candid, disruptive Mark Zuckerberg. The interview covered a wide variety of topics and Zuckerberg answered them in a candid and open way that you rarely see him do. 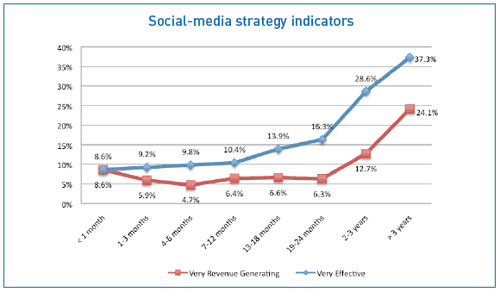 HOW TO: Calculate the ROI of Your Social Media Campaign. If you’re one of the people who isn’t measuring your social media campaigns on an ROI basis, you’re setting yourself up for failure. Here are some tips, advice, and a little bit of simple math to get you on the right path to ROI success. The corporate brand is cramping my personal brand! Star employees will carefully evaluate the reputation and socialstreams of their would-be employers, to determine whether they want to associate their personal brand with that of the corporation. This will only accelerate as the improving economy increases young employees’ options. Previous story 50% of online time on Facebook?